The site for SJSU’s University Art Museum is an arena for radically conflicting external and internal forces—campus master plan, existing building, solar orientation, program, constructability, and budget. Our proposal reconciled these forces via a ribbon-like metal membrane which delineates the resultant form of the building. This ribbon is a two-dimensional folding surface that simultaneously generates three-dimensional space and provides an external presence to the promenade. 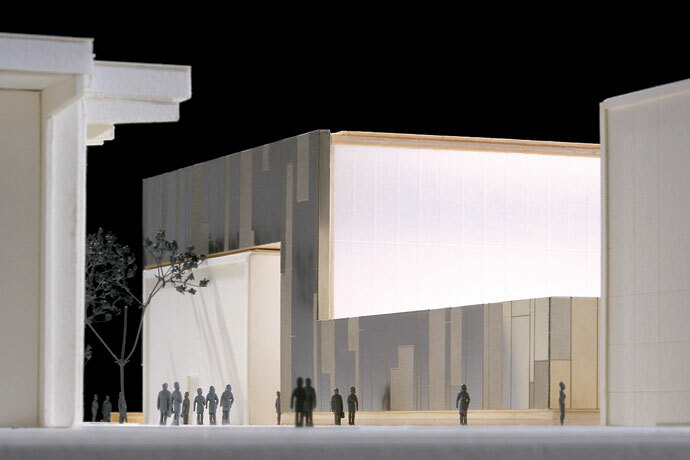 The anticipated spatial experience of the museum will thus be dynamic both on the exterior and interior.